are ready to use with a VR headsets especially Oculus Rift CV1, Oculus Rift HD or HTC VIVE. The basic problem of motion simulators is, that movement of simulator (cockpit) is recognized also in VR headset, because most of VR headsets (especialy Oculus Rift CV1) are using sensitive gyroscopic sensors inside a headset and detect any motions including motion of simulator. At this moment happen a problem, that cockpit movement is transported into a virtual scenery and game do not have any information about a difference between head movement (must be transported into game virtual scene) and cockpit movement (must not be transported into game virtual scene). We have done a solution for that by a special software bridge between VR headset and game using a data of cockpit position/movement for correction of movement in virtual scene. 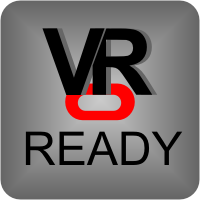 VR ready simulator's PC hardware passed recommended hardware specification for Oculus Rift CV1 and other VR devices like HTC VIVE, etc. VR ready simulators have also special outputs for VR devices including HDMI output for VR headset and 3 x USB 3.0 ports for VR device accessories (positional tracking camera, headset power supply, etc.). 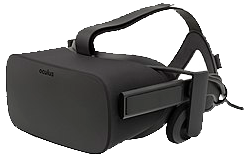 Our software automatically detect connected VR headset (Oculus Rift) and switch a preset profile to VR mode and also start a movement correction functions. VR is possible only for 4x4 (4-leg) models of simulators.